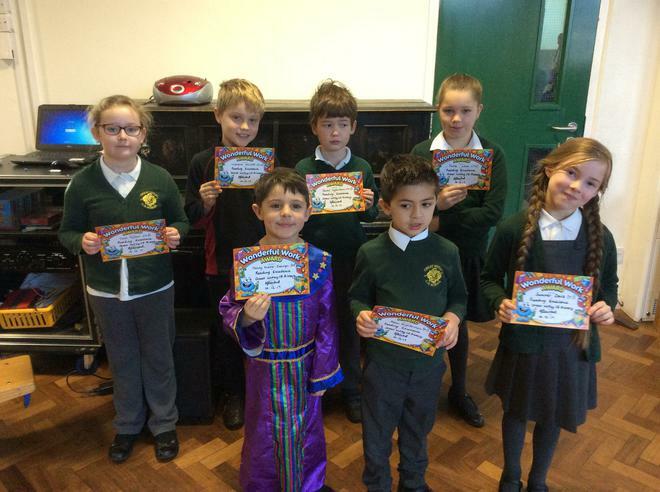 Well done to the seven winners of the first 'Reading Excellence' award. They were very excited to find out that their prize is to sit in their teachers' chair for the day - date to be decided after Christmas! Well done to everyone who collected raffle tickets this term and good luck for next half-term.